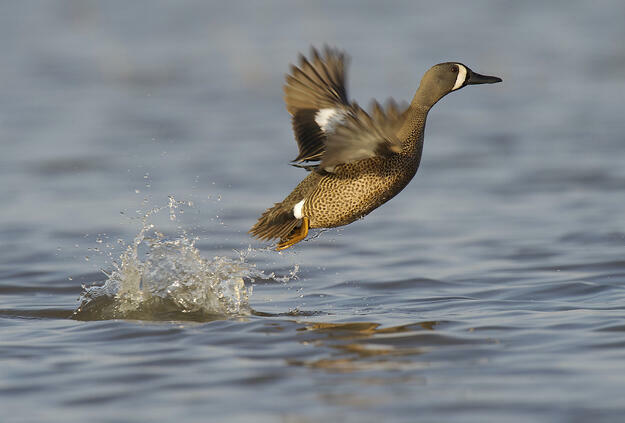 For many of us, our first crack at duck hunting every year comes from those tasty, winged speedsters – teal. 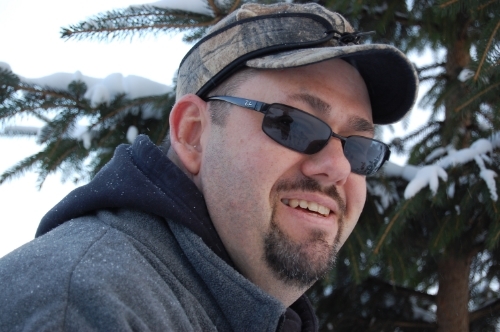 It is a great way to kick off a long waterfowl season and is a lot of fun. With more states adding early teal hunts, and the popularity of duck hunting still rising, there are a lot of newcomers to the hunt headed to the waterways this year. While you can screw things up and still luck into a good hunt, there are plenty of ways a rookie can foul up a teal season. Heck, even a seasoned waterfowling expert can mess things up, so a refresher may just be in order. My first early teal season that was “successful” happened by accident. It overlapped an early goose hunt, and the pond I had staked out for geese happened to attract a few bluewings. I also happened to have a few smaller loads in my pocket for dealing with cripples. I made the mistake of thinking that because of that stroke of luck, that teal hunting was going to be easy. The following season, I decided to target teal specifically and figured they’d be everywhere. Like Obi-Wan Kenobi, I’m not afraid to admit that I was wrong. Put in the time to find the birds and, very importantly, see where they are going. Teal tend to be very habitual. So once you find them on a pond, watch their flight patterns closely, if at all possible. Being just a little off can mean you’re not going to get a shot. They like bigger water than you might think for smaller ducks, but not overly deep water. A key part of finding them is finding vegetation that is shallow, like a foot or less. There has to be plenty of open water, though. So, weed-choked swamps are usually not going to pay off. One of my favorite spots for teal is a small 25-acre pond that is no more than 10-feet deep. It has several fingers of land jutting out into it, making for good points for shore vegetation for the ducks, and room for me to get in and hunt. The only problem I’ve had with it has been running into bears. Luckily for me, they weren’t too interested in a crazy, camo-wearing, shotgun-toting duck hunter. Even with an early season, there can be big swings in the weather and teal are very sensitive to it. Keep an eye on the forecasts and pay attention to what is going on not only in your area but also to the north. A big cold front north of you can push down a lot of new ducks. An early season cold snap can also push your ducks south. If you see something coming, get ready to hunt, because the action can be simply amazing. This should go without saying, but still, it never hurts to be reminded. Wood ducks and teal look similar in flight. They’re both smaller bodied ducks and fly very fast. If you need a refresher, check out Ducks Unlimited’s Waterfowl ID page. http://www.ducks.org/hunting/waterfowl-id/ If you’re new to duck hunting, be mindful of what ducks you’re shooting at. The last thing you want to do is take a bird out of season. If you’re not sure – don’t pull the trigger. When you’re goose hunting, a big spread of decoys is a good thing. It’s the same when hunting late migrating mallards and diver ducks. For an early teal hunt, since you’ve already scouted, plan to set a spread around the same size as the flocks you’ve spotted during the scouting runs. 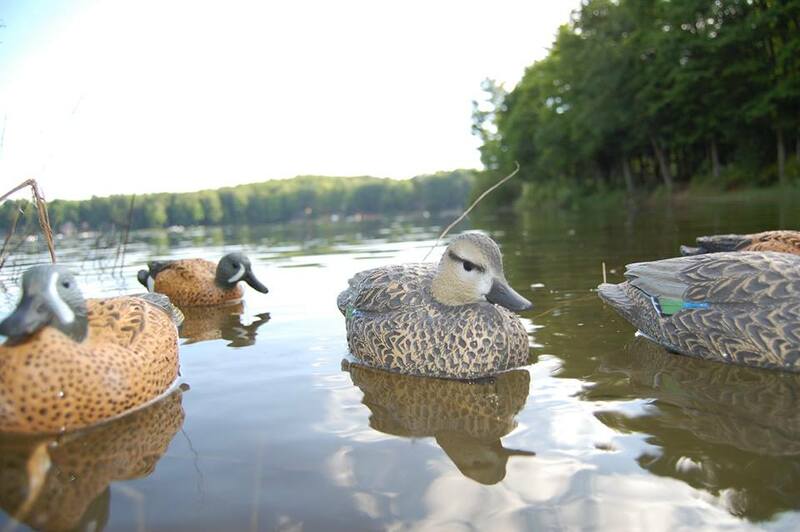 And if you don’t have teal decoys, don’t freak out and run to the store just yet. You can get by with mallards. Granted teal dekes are going to be better, and it gives you an excuse to go buy more decoys. Get the same species, too. If you see bluewings while you’re scouting, buy and use bluewing decoys. shallow water to get on the birds, it works even better.